The figures are listed at $29.99 each. Of the releases, only Fulgore is listed as fully articulated. The rest will have minimal articulation, and function more like mini detailed statues. 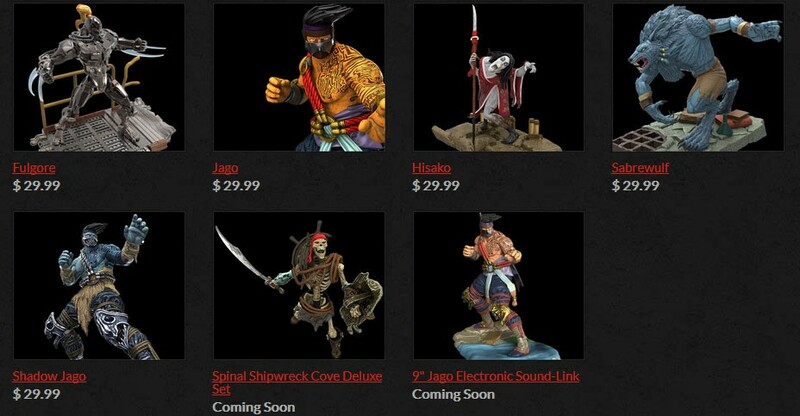 The Spinal Shipwreck Cove Deluxe Set and 9″ Electronic Jago Figure are both listed as Coming Soon. You can check out more pics Here. 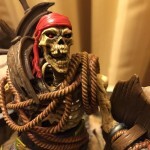 The Limited Edition Shadow Jago figure is finally here! This 6″ scaled highly detailed collectible figure is created straight from the real in-game 3-D model. Wielding his serrated saw blade and posed in his iconic fight stance, Shadow Jago is prepared to take on anyone! 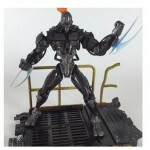 The sword can be stored between his chain armor or posed in his hand for lethal weapon-based articulation. Figure can stand alone or be placed on the included base styled in the theme of his game background. The Limited Edition Shadow Jago only has a production run of 5000 units. Custom packaging size, color and design. Accessory box which stores his sword and collector card. Issued collector card individually numbered from 1 to 5000. See all of the new images by reading on. The first figures are scheduled for release in March 2016. We’ll update as more info and images become available. The figures will be ranged from $20 – $50. The more expensive versions will include diorama style figure bases and electronic features. No word yet on final scale or release date. The images shown are prototypes and are not final. Check out a few images after the jump. Additional images come courtesy of @KillerInstinct, @DJamesGoddard, @Ozz_Mejia, and @KI_Central.